When parallel parking, you should park within _______ of the curb. When parallel parking, your vehicle should be no farther than 18 inches from the curb. Always park in a place that is visible to drivers coming from both directions. Must treat the intersection as if it is controlled by a stop sign. 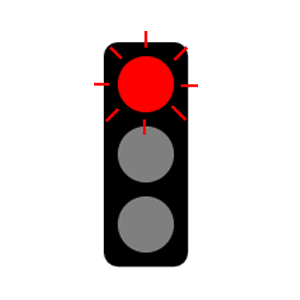 Treat a flashing red light the same as a stop sign. Come to a complete stop at the stop line or, if there is no stop line, prior to the crosswalk and before entering the intersection. 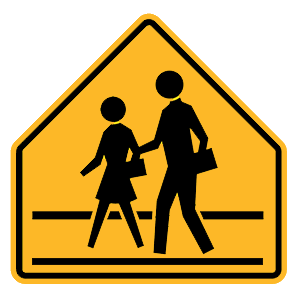 Yield to all other traffic and pedestrians. When a curb is painted _____, it indicates a loading zone, or another parking restriction. Painted curbs indicate parking restrictions. When a curb is painted yellow, it indicates the presence of a loading zone, or another parking restriction. Yield to any crossing pedestrians and bicyclists. Yield to any car already within the roundabout. When entering a roundabout, you must yield to pedestrians, bicyclists, and traffic already in the roundabout.